Who would have ever considered combining yoga and hip-hop? Atlanta native Jaimee Ratliff did and the result has been incredible. The certified yoga instructor has boldly infused the 5,000-year-old spiritual practice with hip-hop and created a class that has students twerking during down-ward facing dog and pop locking into child pose. Ratliff, who has been practicing yoga since 2008 and is also a travel writer, decided to ramp up her practice in 2015 after being robbed at gunpoint while backpacking with a friend through Colombia. She suffered from posttraumatic stress syndrome after the robbery all while dealing a bad breakup. Ratliff went to therapy and began deepening her yoga practice to help her get through the emotional pain she was experiencing. 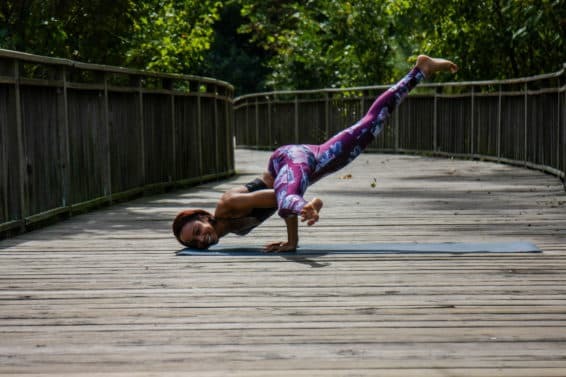 “I turned to yoga to heal from the inside out, to develop more self love for myself, and to show more gratitude toward myself.” She began going to classes three to four times a week and eventually became a certified yoga teaching. Although she loved the studios and classes she was attending, she couldn’t help but notice something. There were hardly any Black people. Ratliff decided it was time to change that. “I wanted to share the mental and spiritual benefits that I was receiving from my own practice with my people—people who looked like me. Especially since there is this mental health stigma in the Black community where we don’t tend to our mental issues,” she says. 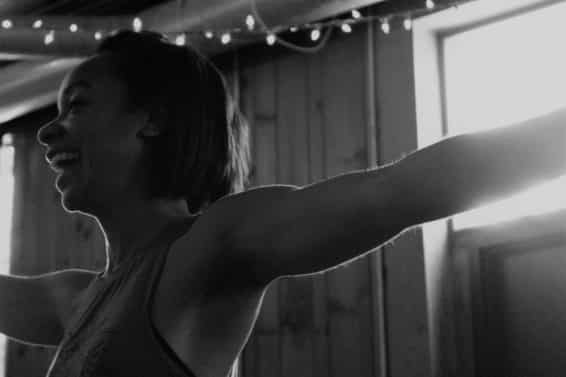 “Yoga has been integral in helping me with my state of mind and I wanted to share that.” So Ratliff set out to create a class where she could reach more people in her community. What better way to do that than to pair a yoga class with hip hop music? “We like good music, we like rhythm, we like to move, we like to dance. 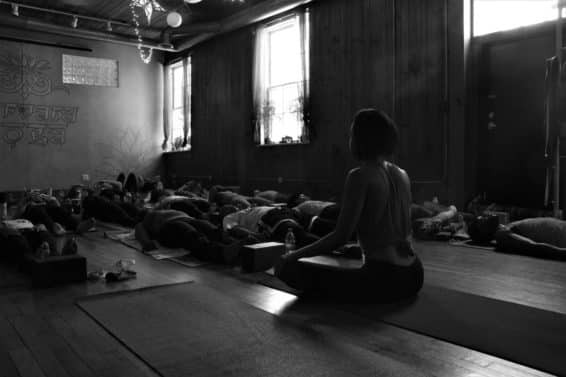 I felt like we needed a class where you can come, have fun, and not feel judged if it’s your first time practicing yoga.” And she created just that with a 60-minute yoga class that includes mat work and a little dancing in between.